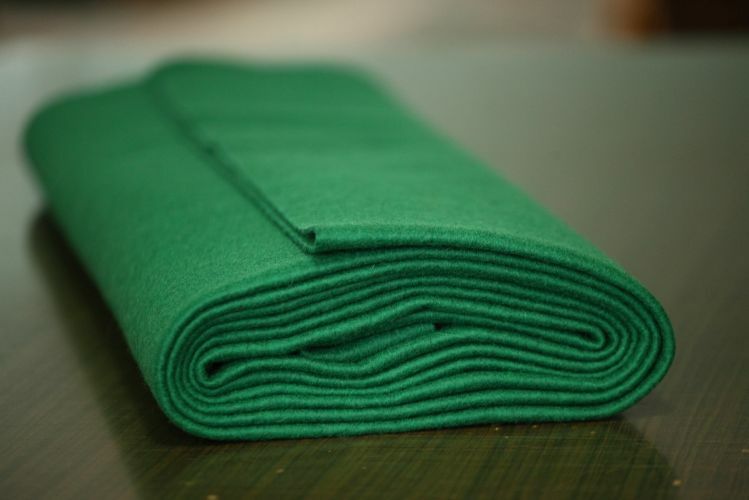 Moss green colored IDEA felt per meter. 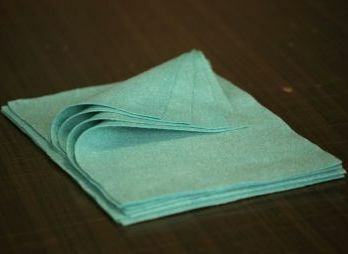 The Idea felt is a very popular raw material of craftsmen and artisans. It is perfect to saw, nice and natural. Ideal for preparing toys, clothes and decorations. Idea is available in highly saturated and lightfast colors. 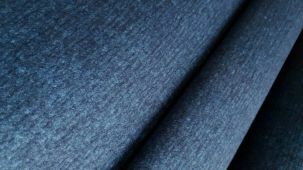 The felt is non-directional, has no right side or wrong side, warm and air permable. 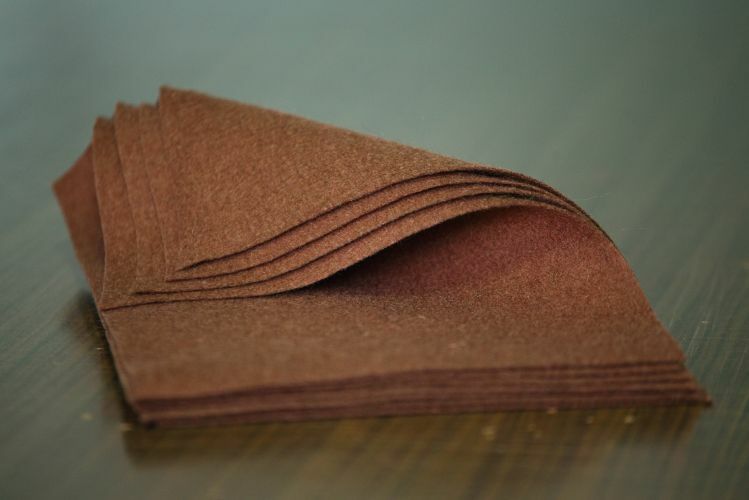 The biodegradable and renewable material, wool felt is moisture resistant, self-extinguishing, and known for its thermal and acoustic insulation properties. Dyes used in the production contain no heavy metals and other substances harmful to health, and in contact with skin is healthy, children's toys can be made from them. 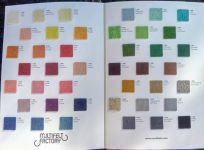 Some of the colors are available on stock in 3 and 5mm thickness. On those colors you can choose the 3, 5mm options without minimum quantity. In case of other colors you have to orde minimum 17m in thicker version. Other sizing parameters, special colors, unique designs, coatings, cuttings are available based on individual consultations. All catalogue colour is available in white marble version with minimum 1 band order. 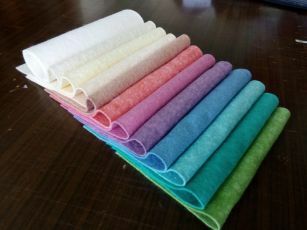 The indicated price is for 1m felt. Be attention that in the different dying LOTs could be different even with dyed with the same paint, because of the nature of wool!